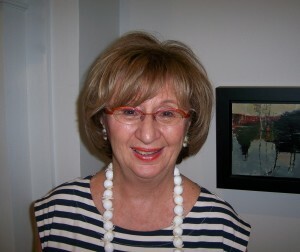 Ellen Wright has lived and worked abroad for 30 years in the Netherlands, Nigeria, India, Italy and New York. For most of that time, she has worked with the Canadian International Development Agency (CIDA). She has held senior positions with CIDA’s Afghanistan Task Force, Africa and Policy Branches, as well in the Intercultural Training Centre. She was Chief of Staff to the Associate Deputy Minister at the Department of Canadian Heritage. She spent four years at the Permanent Mission of Canada to the United Nations in New York, including Canada’s time on the Security Council, and was responsible for political issues relating to Asia, media relations, and notably mine action where she helped organize the First Meeting of State Parties in Mozambique. While abroad, Ellen spent four years with an international development non-governmental organization based in Rome, Italy where she focused on programs in Eastern Europe. She was Director of Exhibitions for the Nigerian National Museum in Lagos, Nigeria for two years and has taught cross-cultural communications in The Hague and Rotterdam, the Netherlands.